What You Need To Know About Subluxation? One of the more painful issues that one can deal with, a subluxation is something that frequently needs medical attention. Those who suffer from what is known as a subluxation often find that they are dealing with much larger issues. Serious pain, swelling, loss of mobility, and many other issues could be caused by this problem and it’s important to understand just what it is. Ajoint subluxation is essentially what happens when trauma causes one of the joints to suffer from a separation of two bones within it. Joints are made up of two bones that connect by ligaments and tendons. When these tissues are weakened or torn, the bones may pull apart and become misaligned. In the case of ball and socket joints like the shoulder, the issue can be even more more common. Subluxation is a complex problem and may include any number of different symptoms depending on the type of issue one is dealing with. Issue that may occur within any of the body’s joints as well as in the spine. When it happens in the spine, it is known as vertebral or chiropractic subluxation. When it occurs in other joints, it is either called a medical or orthopedic subluxation or may be referred to by the joint it affects. This is basically a minor form of dislocation and is usually temporary. Understanding the symptoms of subluxation will help you know whether or not this is a likely problem. Severe pain, usually very sharp at the time of the subluxation and then slightly receding in severity after the initial injury occurs. Visible displacement and deformity of the joint. There are also numerous joint specific symptoms for subluxation that may be headaches, neck pain, joint issues, and more. Tenderness and stiffness in the back. There are a few main subluxation causes you’ll want to think about. Trauma – Things like blunt force trauma and serious impacts will often throw the joints out of place. Things like contact sports, auto accidents, falls, and other similar issues will often cause subluxation to occur in joints suddenly. Arthritis – As your body ages and cartilage begins to break down, various issues may occur and subluxation is one of them. Since arthritis can weaken joints, it is obvious that the problem can also trigger misalignments of the joints. Posture – Poor posture is often the cause of this issue. By placing too much tension or improper amounts of tension on joints, they can eventually become misaligned and will often cause pain in varying degrees. Overuse – Simple overuse is often a cause of various subluxations. Those who engage in repetitive motions on a regular basis such as typists, guitar players, or anyone who perform the same motions over and over could develop subluxations. Pregnancy – This one surprises many people, but when you consider that carrying a child places strain on a number of different joints it becomes obvious that subluxation may occur. This is usually an issue in the hips and pelvic joints. Diet – Diet doesn’t directly cause subluxation, but those who don’t eat properly may cause additional stress on their joints since the joints may not get enough vitamins and minerals to remain healthy for long periods of time. Obesity – This is an issue that may not be a root cause, but will increase the chances of all of the above points leading to subluxation. The heavier you are, the more pressure your joints are under. Which means the more likely it is that you’ll run the risk of them moving out of their proper alignment. Subluxation can be difficult to deal with, but there are also numerous treatment options that can help one manage the problem. Pain can be mild or severe with a subluxation. Treatment for subluxation involves a shorter recovery time than a major dislocation and could provide you with the relief you need quickly. You’ll have to visit your physician. Only a medical professional will be able to accurately diagnosis what your specific issue is. This will be done with X-rays, CT scans, or MRI scans. Diagnosis is the first step, but the most important one will be to realign the joint. This can often be very painful, and the joint will be gradually manipulated back into place. Next step will be immobilization. The soft tissue that was damaged during the injury needs to have time to reset itself, and as a result it can’t be used for several days or weeks. Usually things like ice packs and NSAIDs are used to help control the pain. Physical therapy is the final step for treatment. 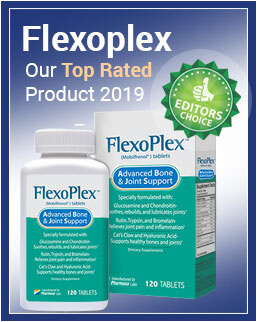 Some patients find that adding glucosamine or chondroitin supplements to their daily regimen helps build stronger joints faster and reduces pain. Identifying the problem is the first step to correcting it, and most patients are surprised to learn that this is a problem that can frequently be overcome with the help of a doctor. With the right steps you can escape from the pain and get back your life. Subluxation treatments work effectively and will help you get the kind of relief you need. Rest and moderate physical therapy will then be used to gradually help return the joint to normal.